Hey Clare, just the other day I had a dream…I saw a necklace made of stars and a hand was over it and I heard, “Arise, Arise oh butterfly“….and the stars lifted up. After study, I found that the stars were Angels and we are the butterflies. After I posted the dream a lady sent me a link to a word you had gotten about a butterfly..I thought it was pretty cool!!! We were being called to arise!!! Hi Mrs. Clare, my dear sister in JESUS CHRIST: I actually want to share with all of you a vision that I have on Wednesday, May 20, 2015. I was ready to go to sleep, and I was listening to one of your videos with my eyes closed but I was awake. I did not realize what I was looking at, then I saw a line of very thin tree with a lot of leaves of different colors: dark green, brown, light green. I asked THE LORD: What is this that I am looking at? Then I started seeing down to the ground; it was cloudy in the beginning but as it was getting closer to me, I realized that it was people; many people- a huge multitude of people. They all were looking to the sky. Then I saw in the sky a cloud with a little dark in the center. As the cloud was getting closer to me, I could see heads; they got closer and closer to me. 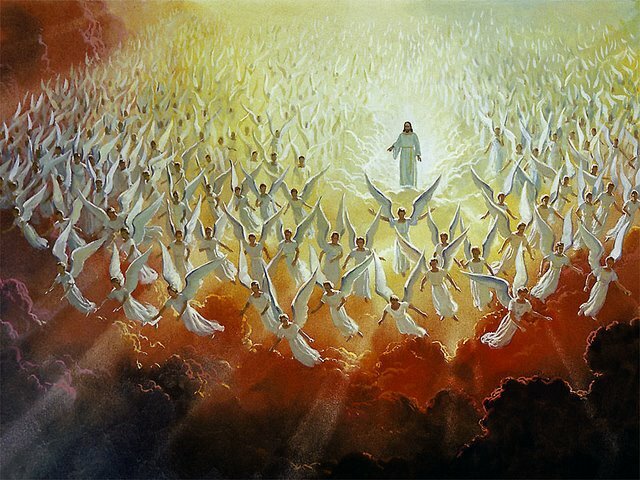 Then I could see they all were Angels surrounding THE LORD JESUS! I kept asking THE LORD, “Why am I looking at this, LORD? What are you trying to tell me? I really like this”. But I opened my eyes, closed them again and I couldn’t see anything else. Dear Clare, for my understanding THE LORD is getting closer to the Earth. Any way THE LORD JESUS still has not answered me. GOD bless you all in JESUS NAME AMEN. Tonight I was walking through a beautiful field of golden grass – I thought at first it was wheat but it only came up to the middle of my shins. I was wearing a beautiful dress which had a head dress which looked like curved glass filaments. I knew somehow that they were gold – transparent and as fine as hair. The filaments were full of Light and sparkled like diamonds as I moved. The head dress formed a large hood around my face soft and diffuse. The gown that I wore was also TRANSPARENT Gold full of Light and underneath I wore a long white dress…….It was an amazing sight – to be dressed in gold and light! Yeshua and I walked into the field of Golden grass and then we sat down face to face. I had questions in my heart and He knew it. I just knew that tonight He didn’t mind me asking them. Question: Do we need to fear our ETHEREAL BODIES Lord? Question: Will we miss our flesh body…long to have them back sometimes in the future? Answer: No you will rejoice that you are NO LONGER WEIGHED DOWN BY THEM. You will not know how hard it was to bear them until it is taken off of you. Question: Will we be able to travel the Universes? Answer: Yes you can go wherever you want to EXCEPT THAT ONE PLACE – YOU CANNOT GO THERE! Question: Will it torment us to know our loved ones are there? Answer: No you will know they are GONE…..of their own choice to where YOU CANNOT GO – the divide is insurmountable – ONE NEGATES THE OTHER! Question: What is the relationship between the BRIDE and the BODY? Answer: You are ALL FAMILY TOGETHER. You ALL LOVE ME. And I have let you all CHOOSE YOUR PROXIMITY TO ME! Just as in this life some people you LIVE WITH – some you see DAILY – some you see WEEKLY – MONTHLY – YEARLY. Question: Will we live together as in families? Answer: No each has his or her own house AS IS PROMISED BY MY FATHER. Question: Will people be jealous in Heaven? Answer: No each has chosen what they have and where they are! Question: Does family still exist in Heaven? Answer: Yes they do but WITHIN A LARGER ETERNAL FAMILY. I have My mother and brothers in Heaven but I LOVE YOU ALL AS BROTHERS AND SISTERS ALSO. There is no partiality in Heaven for ANY OF YOU. There is enough LOVE for everyone…without measure…….SO JEALOUSY IS REDUNDANT. Question: Do we have work to do in Heaven? Answer: Yes at times – there is rest and play…times to work….you will love both. The Kingdom and its building is something you will ALL be passionate about! 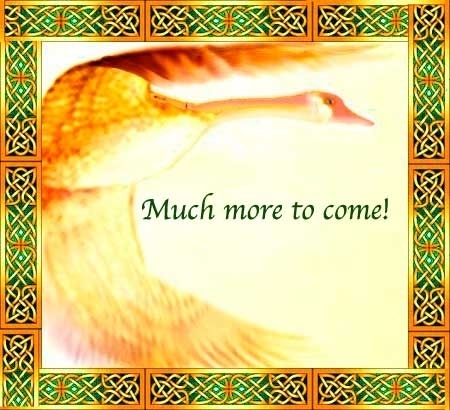 I HAVE CHOSEN PLACES FOR EACH OF YOU ACCORDING TO YOUR GIFTINGS – PASSIONS – PREFERANCES! You will ALL be so ENTHRALLED BY WHAT I HAVE PREPARED FOR YOU. It will cause much JOY and LOVE and JUBILATION from you all directed at OUR FATHER. He will ENJOY YOUR PRAISES – HE DWELLS IN THEM – DO YOU KNOW? IT IS HIS PREFERRED PLACE! SO WE WILL ALL BE SUPREMELY HAPPY! There will be problems to work out as Clare has said but YOUR HEARTS WILL BE STRONG AND WE WILL KNOW WHAT NEEDS TO BE DONE! Those on the Earth have a lot to work through – a lot to learn to understand. They have to learn how to make themselves fit into THE NEW GOVERNMENT…..some will have memories of the END TIMES. Some NONE having been born into the Millenium. The younger ones will be a cause for concern for you at times as you will know that the enemy will again be loosed and some of YOUR LOVED ONES YOU WILL KNOW TO BE VULNERABLE. WE will work tirelessly to instill what is needed to strengthen and prepare them. Question: Lord I have failed You SO MANY TIMES here on earth – what if I continue to disappoint You and to fall short of Your desires in Eternity? Answer: THAT IS NOT POSSIBLE. With your GlORIFIED BODY and the FLESH gone YOU WILL FIND IT NATURAL AND EASY TO DO MY WILL. IT WILL BE YOUR GREATEST DESIRE! (I said Thank you Lord and began to Praise Him). You – NONE OF YOU know how much of your failure and shortcomings and sins were due to SATANIC INFLUENCES hurled at your daily! It is relentless….to try to draw you away from fulfilling MY CALLING. It does not work as ……YOU ALL GROW STRONGER…… but you ALL DO TAKE ON YOURSELVES THE CONDEMNATION not fully discerning its ORIGINS. 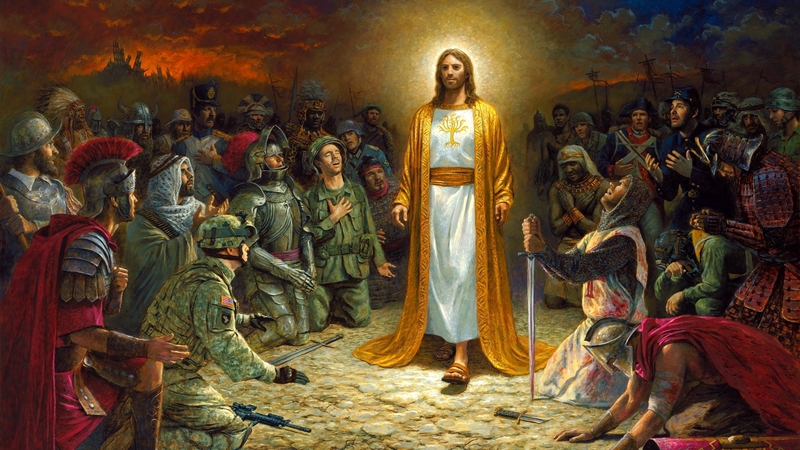 Question: Lord You have adorned me with SO SPLENDIDLY – why SO MUCH GLORY? Answer: YOU ARE CLOTHED IN MY GLORY – MY RIGHTEOUSNESS – MY STRENGTH – MY SOVEREIGNTY – MY GRACE – MY LOVE…ALL THAT I AM…..SO ARE YOU!………THAT IS WHY YOU ARE SO RESPLENDANT……….Also I LOVE to lavish MY LOVE upon you. It GIVES ME JOY! I have waited SO LONG FOR EACH ONE OF YOU ………you cannot know My Heart in this but you will discover it over all of Eternity. It will never wane and you will never tire of receiving it. True Love GIVES AND DOES NOT THINK OF SELF. WE – ELOHIM – ARE SELF LOVING OTHERS…THE FATHER LOVING ME – I LOVING HIM – THE HOLY SPIRIT LOVING EACH OF US AND US LOVING HIM. NEVER LOOKING INWARD – ALWAYS OUTWARD. You will be the same in Eternity. SERVING ME – OUR FATHER – THE BODY – ISRAEL and EACH OTHER……PERFECT LOVE. You truly are beautiful CLOTHED IN ALL THAT THE FATHER HAS GIVEN ME…..( I said I can’t wait Lord) He said ……Soon Beloved SOON. Today whilst with Yeshua we walked together. He led me by the hand along a wide walkway leading up to some steps and then again into a pathway which entered a formal garden on either side. The path had a low hedge edging it and there were children playing in the gardens and running in and among the trees. Yeshua had on a tapestry coat which fell to the floor with a small train – a white gown underneath of it – and He was wearing a small simple crown. I asked ” How do You want me to be Adonai?” and He said “I just want you TO BE – TO BE with Me”. 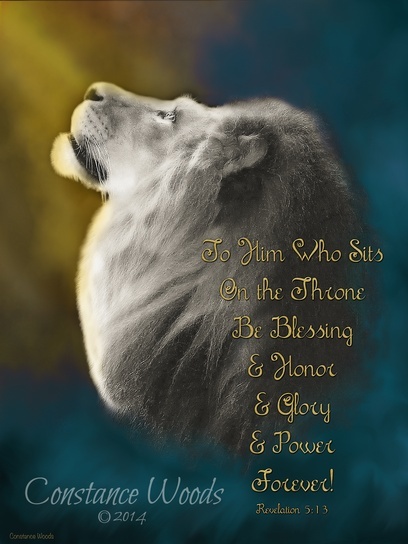 I held both of His Hands together and pressed my head into them in reverence to the King…..whom I love. Suddenly I was looking at us both from a distance and I saw that I was now dressed like Him in a white gown covered in a long golden embroidered tapestry overcoat with a train and was wearing a small gold crown. (We both looked VERY fine but I felt that this was NOT His formal Kingly attire rather His daily informal look which He wore at His country estates). I said ” I am worried that I am not ready Lord” My heart revealing its deepest thought. He replied “fear opens a gate – DO NOT FEAR – YOUR RIGHTEOUSNESS IS NOT REQUIRED MINE IS – I JUST NEED YOUR FAITH AND YOUR WILLINGNESS.” I asked about a previous vision where I had seen my brother in law who had passed on “is that real Lord or is it that You use these visions to show us something symbolic?’ “No it is real…..VERY REAL….THE WORLD IS THE ILLUSION and Heaven is Real – THE WORLD IS A PALE SHADOW OF THE HEAVENS. 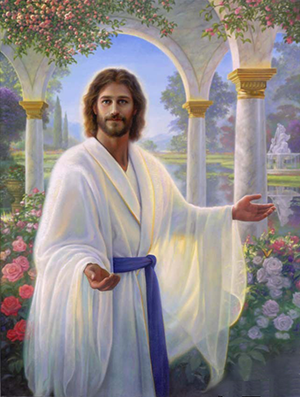 Today Yeshua took me by the hand and led me through a garden area to what looked like a huge old building…it was high with a roof and the ground floor was made up of huge granite pillars – all open to the elements. In my spirit I thought “what about the wind? – oh thats ok here there is no wind or rain so this makes perfect sense.” There were about 20 pillars down the sides and about 10 across the front of the building – it was maybe about 200 hundred feet long by about 100 feet wide. The Brilliant Light from outside streamed through the gaps between the pillars and it was lovely and peaceful inside with a soft half light – kind of shady but not in the sense of darkness more restful…hard to describe. Outside were many huge trees – oaks and sycamores and some I could not name – under them were people sitting and reading in seats, or little arbors and some just lying in the grass. Just relaxing in the wonderful light that was everywhere. It looked like a huge beautiful park and there was a small lake and a path that wandered around the whole area. Inside were many large tables with chairs around them and also there were occasional chairs dotted everywhere. The upper area had a viewing gallery around its sides with book shelves lining the walls and windows set at regular intervals. Light shone down into the middle through these windows also. There was a stone balustrade made up of many little pillars was all around the upper area – the middle area was open to the ceiling which was ornate. He took me to two large brown winged backed leather armchairs and we sat down. I was very anxious and worried that I WOULD NOT BE ACCEPTABLE TO BE RAPTURED OR TO BE THE BRIDE. So I moved my chair so that I could face Him – I NEEDED to talk seriously about the matter. I said to Him “I have ALWAYS wanted to be the Bride of Yeshua – what is required?” He said “I have CALLED you always as a Bride. 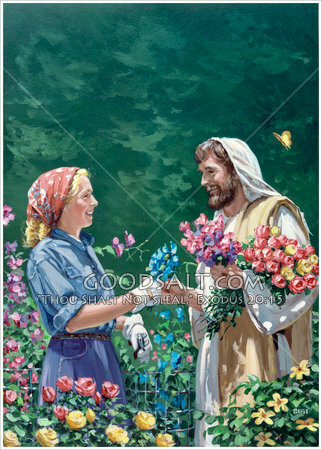 Spoken tender words of Love to you – YEARNED for you to come to me as you do now.” ( I felt great tenderness towards Him as He spoke these words to me). ‘I allowed you to suffer to help to prepare you – you too have known betrayal like Me”. I replied “How do you bear it Lord I felt it once – you a BILLION times over.” He said “I AM YHWH remember not JUST man. I cry many tears – feel the pain but it does not kill me”. “How can we minister to You Yeshua to lighten Your burden?”…..He said “Be kind and loving – balance out the evil by being Christ in your world. You are the Bride – I have purposefully kept you OUT of the Church and RELIGION to keep you from being defiled. I DETEST RELIGION! Yes you have been defiled by sins of the world but I have kept you from learning the ways of the church. I want you to LOVE PEOPLE …..tell them you are a Christian – give Me the Glory – talk openly about Me. I have placed SPECIFIC PEOPLE IN YOUR LIFE. When you are taken they will KNOW Rapture is truth by your disappearance……Remember years ago I told you a parable about the flamingoes. (As a young christian I had a dream that I was flying up in the clouds in and amongst thousands of beautiful flamingoes)….. and then the Lord spoke to me and said “you think that MORE IS BETTER – that if you save MANY souls you will please me – but I do not measure things that way! 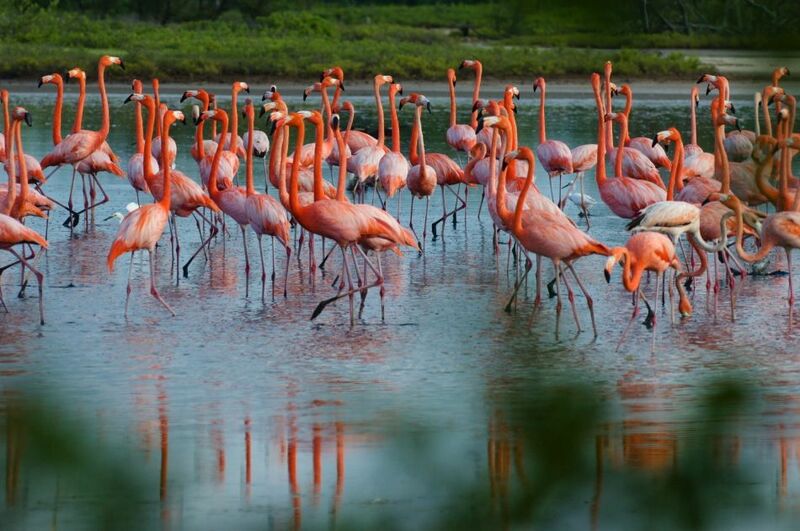 I do not call you to save the many as in these flamingoes that all look the same! 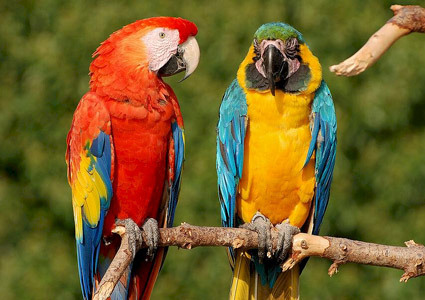 I call you to save the few – the hard to reach ones” and He showed a few gawky screeching ANNOYING Parrots high up in some trees. Well, I began to talk to God in the silence; feeling exhausted I laid down..I still prayed. I simply said “Lord,hold me” and I felt such love and peace come over me. I closed my eyes and I felt as if I wasn’t in my room anymore. Then i saw a beautiful place!! I was unaware where I was, but I knew it was home – Heaven – instantly!!! There I saw a garden and a patio with white beams of wood – it made a gazebo-type thing… its hard describe, really!!! But there was a garden and plants and many flowers of all types and colors everywhere in that patio…out door furniture. Then I saw a lady, and Jesus spoke, saying “What do you see?” I wasn’t sure what He meant by that. but I said with a gasp “A garden!! !” and beside that was a beautiful mansion!!!! I began to cry!!! He showed me other relatives in heaven and some of my pets. Everyone so happy and peaceful and I felt the exact same way. I saw horses – one I remember was brown in color and had a green saddle, standing by some woods. There were two horses and a lizard. I saw my puppy who had passed away some time ago!! and I saw my dog who is with her new owners now – she was there too!! !… then gone. Heaven is wide and just beautiful! The greenest grass and bluest sky! I miss it so badly and long for Home, I can’t describe the feeling. He said to me, “I’ll assure you, you’re going to Heaven. I know not the hour, but you’ll be here, Home.” He said this because I’ve wondered and wondered, I pray, ” Am I worthy to go in rapture when He comes.” So, Him saying that brought me peace. After seeing Heaven I felt… I don’t know. Hard to explain! But that’s my Heaven experience.